Whilst trawing through what’s coming up in terms of US TV, I checked in on what’s going on with Hawaii Five-0 these days; I used to be proper into it, but I got a bit fed up with the crime-of-the-week stuff and fell off the surfboard many seasons back. 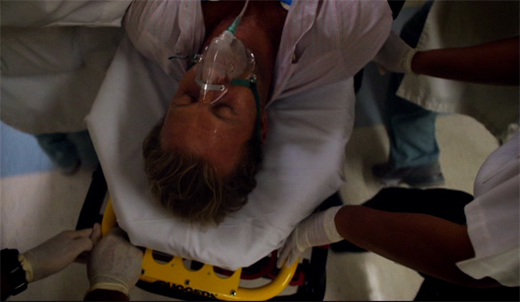 Anyway, my favourite Danny/Scott Caan has apparently had a time of it recently, and had gotten stabbed by an abusive ex-boyfriend of his current partner. Stabbed…? Hmmm. 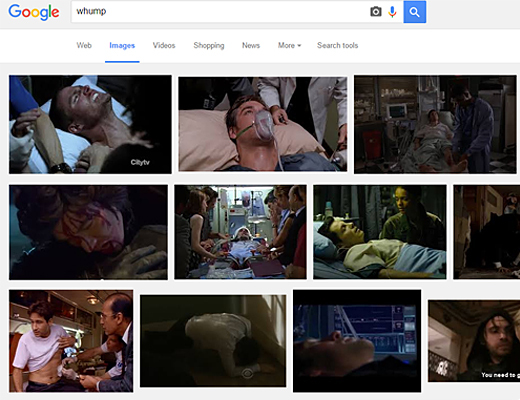 Given my particular interest in such things I went straight onto Google images, and after a bit of searching discovered WHUMPING. It appears that there are thousands of “sick fucks” just like me – women and men who have an appreciation of vulnerable or hurt fictional characters. It appears that all this whumping directly originated from Stargate SG1, but was informed by the earlier Muldertorture (exactly what it sounds like) where bulletin boards started to fill with fanfic stories of Mulder not being in the best shape. Hurt/comfort is a very big thing online it would seem, which has been quite the revelation for someone who has thought for over a decade that my interest was very very niche indeed.